Happy Travelers Tuesday! If you’ve stumbled upon our Tuesday tradition for the first time, welcome! 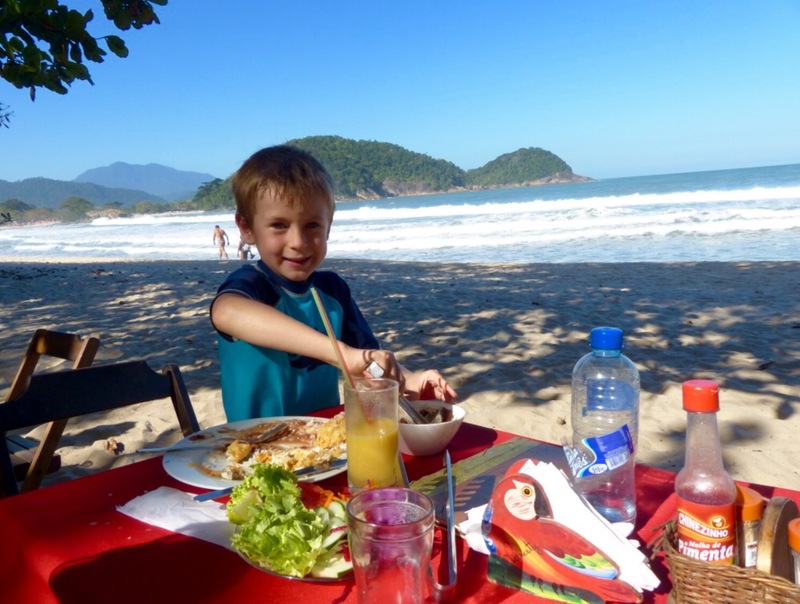 Travelers Tuesday is a special series where, each week, we introduce our readers to another family who travels full-time. 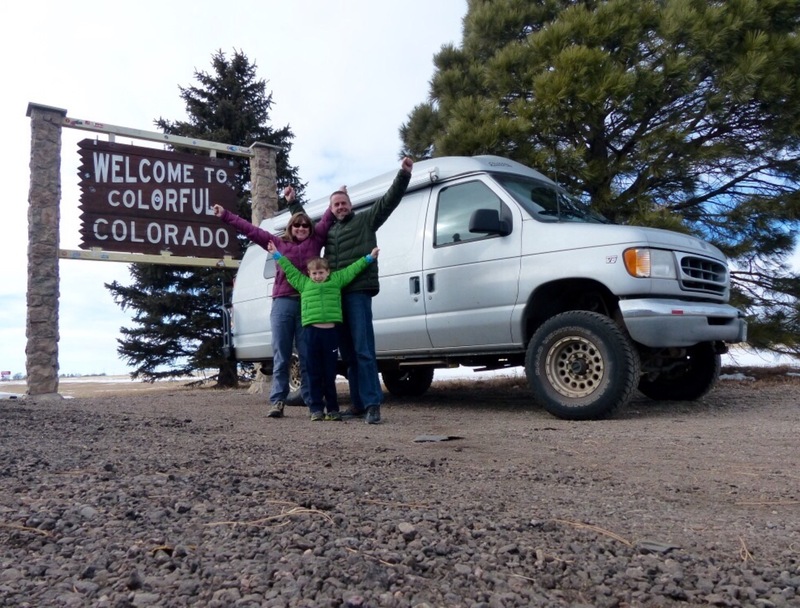 This week we have Jen and Witt Sparks, originally of Montrose, Colorado! Meet the family: Jen and Witt currently travel full-time “over-landing” with their son, Quinn who is seven. Quinn is roadschooling using an eccelectic approach with self-directed learning being one of his passions. Through self-directed studies, he has already taught himself to read at a third grade level and is exceling in math, his favorite subject. For math, they utilize DreamBox, an online adaptive learning platform that challenges students while developing skills and aligning goals to state and/or regional standards. What got you and your family interested in living this lifestyle? 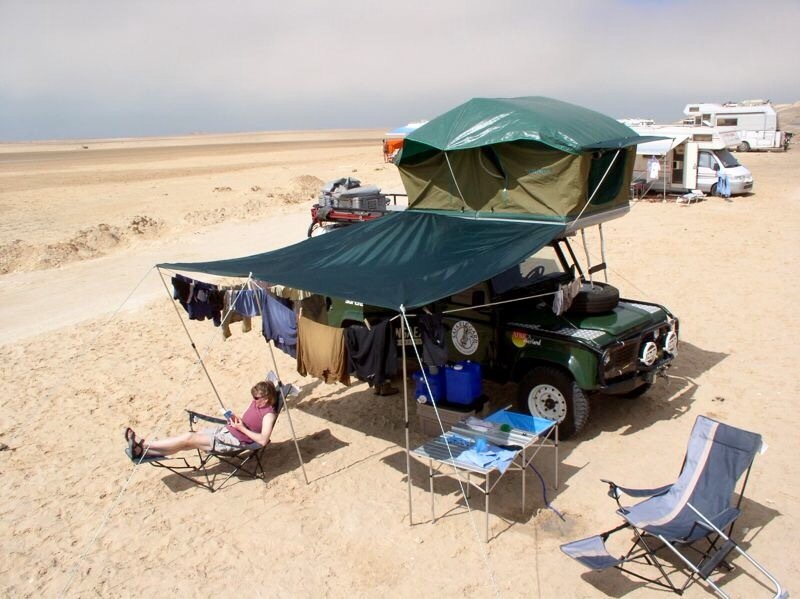 For our first overland trip we shipped our Land Rover to the UK and drove to the southern tip of Africa with another couple who already had some over-landing experience. We were hooked! It wasn’t long after returning from that trip that we started planning our next adventure through the Americas. Was getting on the road easy or challenging? Any advice to those just starting out? We are planners so, we just put a plan into place to save and prepare for the trip before diligently working through it. It wasn’t difficult for us but it did require some patience and perseverance. The best side benefit was in how rewarding we found it to simplify our life by selling or donating things that we no longer needed and getting rid of all of our utilities and membership fees. It was positively exhilarating! Our biggest recommendation to those just starting out is to make a plan and then make working the plan a priority. There are many other travelers who were able to make the lifestyle change to travel overland after 1 year of cutting back unnecessary expenses and living frugally. The key factor is that they make their dream a priority over other luxuries such as driving newer cars or eating out. What are your travel goals? We have several travel goals. Our external travel goals are to see new places, experience new cultures, learn new languages, taste new foods, and meet new people. Our internal travel goals are to spend more time together and learn more about ourselves in the face of continually changing situations and challenges. How many states and/or countries have you visited so far? Jen has visited all 50 States, Witt has been to most of them, and Quinn has been to 26. As a couple, Witt and Jen have been to more than 40 countries together. Since Quinn joined our family, we have traveled to 19 countries together in the Americas and we look forward to where our future travels will take us. What has been your favorite and/or least favorite trip, site, experience so far? Which one to pick? One of our favorite trips ever was when we hiked the Haute Route from Chamonix, France to Zermatt, Switzerland. We enjoyed about 10 days in the beautiful Alps with stunning views by day and evenings spent in backcountry huts or quaint hotels in small villages. We love the mountains wherever we go. What is your favorite and/or least favorite thing about traveling as a family? Our favorite part is the bond that we have strengthened by sharing so many travel experiences together. We have created magical memories together that are priceless to us. What got you started in blogging? Primarily we wanted to share our travels with our family and friends. We also wanted to inspire others to create their own travel adventures! What are your goals for your website? Our goal for When Sparks Fly is to document our travels for ourselves, our family, and our friends. 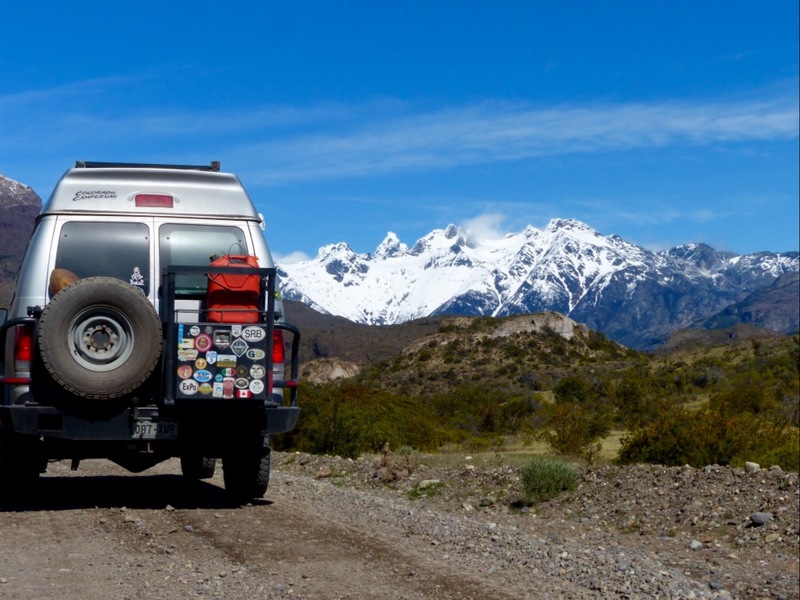 Our goal for The Practical Overlander is to help aspiring adventurers plan their own overland trip so they can see the world independently from their own vehicle. What is your favorite thing to write about? Do you have a favorite post to share? We like to encourage others to travel in every blog post that we write. Sometimes we write inspirational posts and sometimes we lean towards more practical tips. In both cases, we do our best to inspire others to make their own travel adventures a reality. Our favorite is called “Overland Travel by Camper”! Getting a bit more personal: Do you have a favorite season? I’m not sure that we have a favorite season. Each offers new activities and experiences. What is your favorite book? Free to Learn, by Peter Gray. We’ve read a lot of books about education and on how kids learn, but it was this book that significantly changed our philosophy and approach to our son’s education. What about a favorite genre of music? We’re have fairly eclectic tastes. We do have a favorite internet radio station, though. It’s called Radio Paradise and it’s fantastic! Do you have any favorite foods? Is there something you love that you’ve found somewhere but you can’t easily find elsewhere? Mexican food. I mean real Mexican food like you get in Mexico, not the cheese-laden burritos-and-enchiladas you get in the US. Mexico had the best food by far of any country we visited in the Americas, and there’s great variety depending on where in Mexico you go. Looking to follow The Sparks Family on their adventures? Head on over to their Facebook page where they are constantly adding new resources for aspiring adventurers!